Not too many people have heard of Myeongji University. 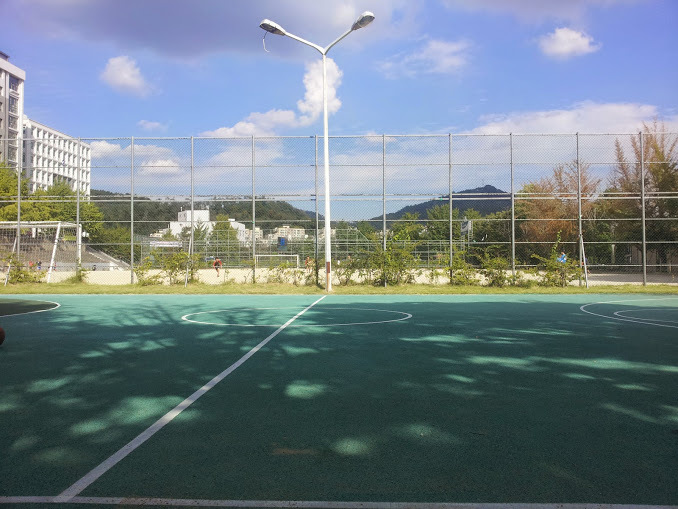 It's a small school in northwest Seoul. 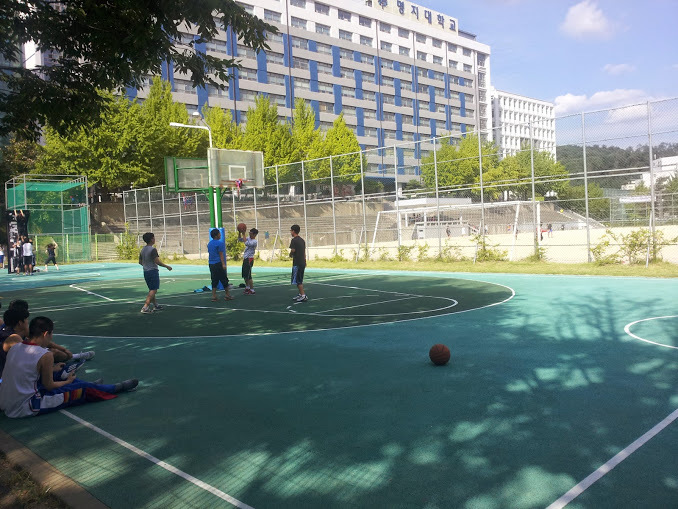 The basketball court sees a steady stream of players on the weekend. It is a decent place to find a pick-up game. 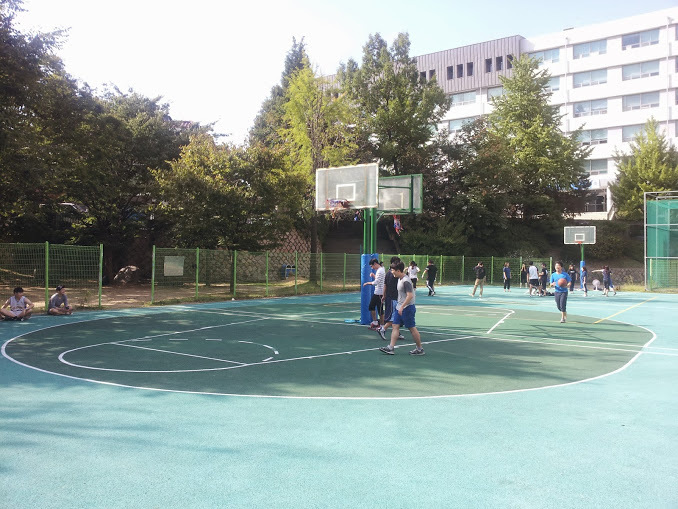 Myeongji University offers two full size basketball courts. The surface is a green soft top that isn't too hard on the knees. It's tucked away behind a makeshift baseball/soccer field. Green soft top. It is a bit patchy in some areas but for the most part, it does the job. Good on the knees but still offers enough bounce. 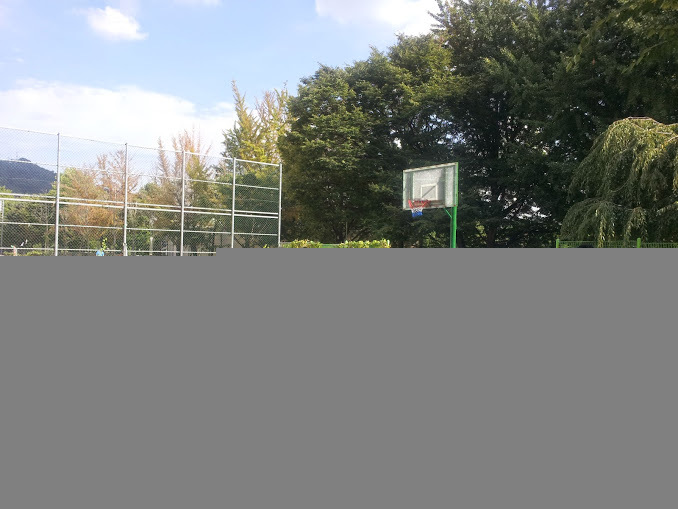 If you come on a weekend during the afternoon, you hsould be able to play some pickup. 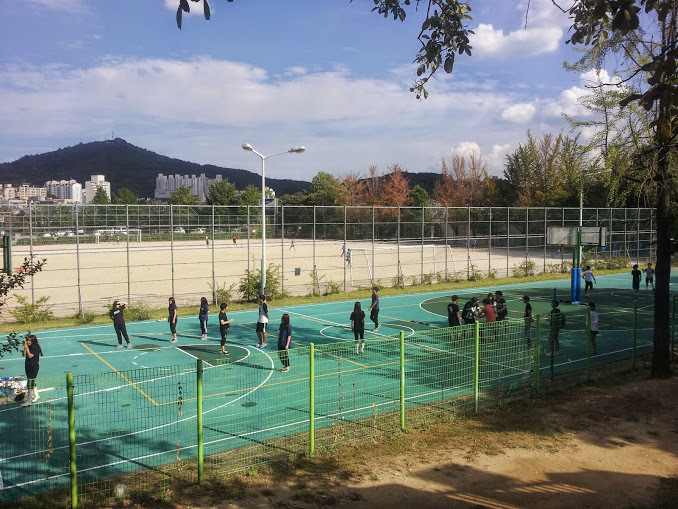 Myeongji also has a small international student body so you might even get some foreigners playing. The competition varies. 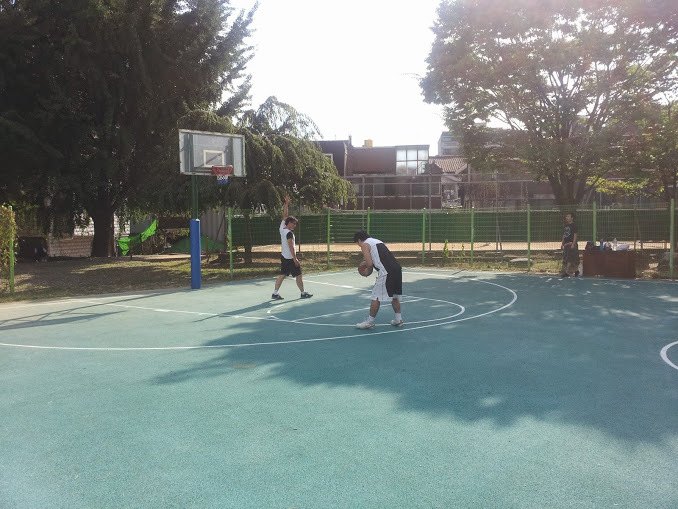 Usually there are multiple pick-up games goin on, so don't worry about your skill level. You won't have much luck with evening games as they rarely turn on the lights. Weekends are your best bet. There is a water fountain, along with a bathroom, inside the school that is accessible to all. -Take bus 7019, and get off at Myeongji University (about 5 stops). Walk up the hill leading into the university, and take a left. you will see a dirt soccer field. Walk all the way across the field to the cages. You'll see the courts. Try not to call too many fouls.